The Offshore Oil and Gas Industry is one of the fastest growing job markets in the US. Even without a college degree, employees can make over$100,000 per year after only a few years of experience on offshore drilling rigs. Make no mistake though; these employees work hard for their money. While the overall US unemployment rate is still greater than 8%, oil drilling companies are struggling to hire, train and retain employees to keep up with the demand of an ever increasing number of drilling rigs operating in the Gulf of Mexico. Competition for quality employees in the offshore drilling industry is fierce and has been reflected in the ever increasing salaries of seasoned and entry level personnel alike. Entry level positions on offshore drilling rigs typically start at salaries of $40-50K with full benefits (medical, dental, matched 401k, and training reimbursement) with 6 months of vacation per year. The draw-back, of course, is that you spend half the year away from your family and friends working physically demanding 12 hour days in the hot and humid Gulf of Mexico weather. Most work rotations are either 14 days on, 14 days off… or 21 days on, 21 days off. College degrees or other industrial certifications are typically not required for entry level offshore oil rig positions and most of the larger companies will gladly pay for any training you may need to upgrade your licenses, skills or other qualifications needed to advance your career. The work is not easy, but if you have a good attitude and willingness to learn, your career opportunities in the offshore drilling industry are literally endless. In the current offshore oil and gas job market it is not uncommon to earn an $80-100K salary after only 5 years experience. Ordinary Seaman: The ordinary seaman or “seaman” is an entry level position in the “marine department” on offshore drilling rigs and drillships. Like conventional merchant ships, most offshore drilling rigs are still considered “ships” by the United States Coast Guard and as such they are required to have a certain amount of certified and licensed “merchant mariners” on board to maintain all of the life-saving equipment, respond to maritime emergencies and perform the traditional maritime activities such as cleaning and painting. After a certain amount of time, ordinary seaman can upgrade their certificate to an “able bodied seaman” otherwise known as an “AB” where he or she is assigned additional responsibilities (such as supervising the ordinary seamen on deck). After obtaining an “AB” license and holding the AB positions for a few years, ABs can sit for an examination for a merchant marine officer’s license (3rd Mate). Ultimately, the individual can keep upgrading their license to eventually become the vessel’s captain. 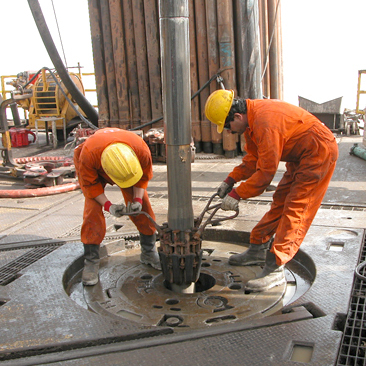 Roustabout: Roustabouts are the general laborers on the rig. Their main duties including working with the crane operator to load and unload supplies for the drilling rig from supply boats, general cleaning duties, painting and assisting other departments on the rig as directed. With the right attitude and willingness to learn, roustabouts can quickly advance to higher positions within the drilling department or cross train for a promotion as an entry level electrician or engineer. Many of them also go on to earn their crane operator’s license and eventually become a deck foreman. Catering: Most offshore oil companies use independent contract catering companies to fill positions in their catering departments (cooking, housekeeping, laundry services, etc.). While these positions typically pay less and have fewer benefits, if you’re looking for some legitimate experience in the hospitality industry, working on an offshore drilling rig with 150-200 crew members is an excellent place to learn. Catering jobs are usually much easier to get with a contract company (Art Catering, Delta Catering and Sodexo (formerly Universal Sodexo) and offer good exposure and experience to help you decide if you want to make a career out of working in the offshore oilfield. If you’re transitioning to the offshore oil and gas industry from a previous industry (or military service) and you already have some training in one of the many job categories on an offshore drilling rig, your prospects for employment and higher salaries are even better. Skilled electricians, mechanics, electronics technicians, and licensed merchant mariners (among other professions) are in serious demand and can expect close to six figures salaries their first year. If you already have a college degree (engineering, business, logistics, math, computers, etc.) your prospects for employment are equally high. By now you’re probably wondering how to go about getting a job in the offshore oil and gas drilling industry. Don’t get frustrated by the fact that most offshore oil and gas companies don’t list openings for entry level positions on their websites. Getting an interview with a drilling contractor is a combination of luck and perseverance. Here are some resources and tips to help you land a job with an offshore oil company. If you’re looking for job openings in the offshore oil and gas industry, the Rigzone “career center” is by far the most comprehensive listing of available oil and gas jobs. Even if the job you’re seeking is not listed, you can still submit your application and resume through the job listing since it will most likely go to the same recruiter that hires entry level positions as well. For information about working at Atwood click here. For offshore drilling job listings with Diamond click here. To get a job with Ensco click here. For offshore drilling job listings with Fox Oil Drilling click here. For information about job opportunities with Frontier click here. 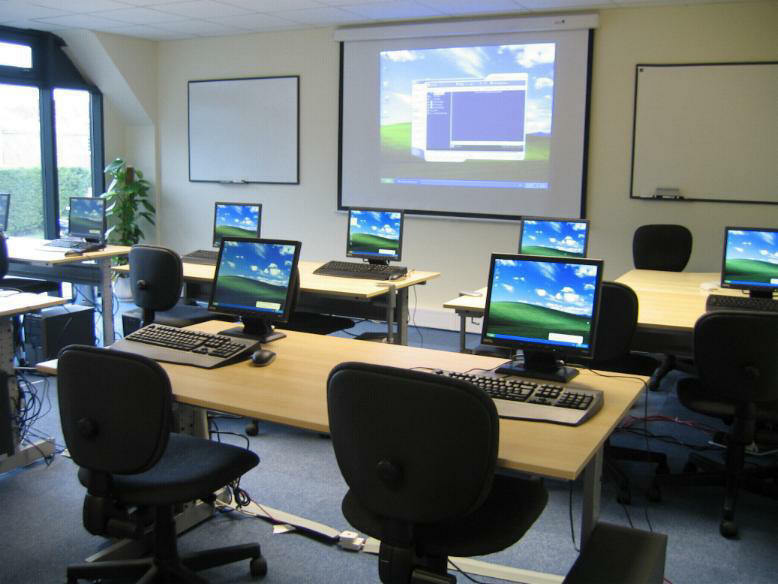 To learn about job openings with Hercules Offshore click here. For available job listings with Maersk Drilling click here. Noble Drilling job opportunities are listed here. For offshore oil and gas drilling jobs with Ocean Rig click here. For a listing of available offshore jobs with Pacific click here. For employment information with Seadrill click here. To find job openings with Transocean click here. For more information on jobs with Vantage Drilling click here.